Mass air travel will be one of the first casualties of the zombie outbreak. As countries rush to quarantine themselves and skilled pilots and mechanics scatter, it is unlikely that many will get off the ground in the months that follow. The military can be expected to keep flying for longer, but air travel on civilian jets, small private planes and most helicopters has a definite shelf life. The hero of post-apocalyptic air travel will be the humble microlite. Flying high above the grabbing hands of the dead is a tempting prospect against the alternative of making your way through bumper-to-bumper cars, blocked roads and zombie-infested towns and for sure some survivors will make their escape in various light aircraft and helicopters. But, being realistic, microlites certainly won’t be available for everyone and if you live in an urban area then car travel alone is going to be a challenge. Most short-range missions will be on foot – this will include any local foraging or scouting patrols. Cycles can be a useful option, but motorcycles tend to be too noisy – what you get in speed is often negated when the sound attracts all of the walking dead within miles of your location. However, long-distance travel, say 20 miles or more will require much more planning and organisation. And, believe it, that 20 miles through a zombie-infested land will be a considerable challenge. Foraging by boat can be an invaluable way to safely explore new areas or secure those supplies, but although zombies can’t technically swim, they can still represent a danger in the water. Millions will become infected in the zombie apocalypse and many rivers and waterways will become clogged with the undead debris of grabbing ghouls. 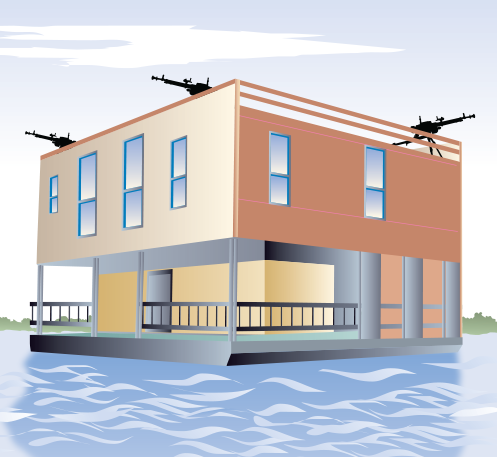 Some zombie survival experts argue that the benefits of living afloat are such that it is worth investing your resources in developing a floating refuge. In essence, it’s a large raft that could be tethered in a lake or wide river and from which you could operate, using smaller boats to make foraging raids on the shore. Longer journeys across zombie-infested areas, either on foot or in motorised transport, require skill and planning. Some journeys, such as a relocation to a more suitable long-term location, may be well-organised and structured while others, say following the collapse of your perimeter, may be more rushed and urgent. 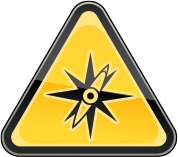 In the latter case, all survivors should make for one of the agreed bug-out locations, with their emergency supplies. Do not be tempted to take any more – for now, survival is the key. If your perimeter has fallen, don’t be tempted to start packing up supplies – if it’s chaos then just grab your bug-out bag and go. Once the decision to move is made, use scouts to mark possible safe routes with spray paint and confirm the destination. Often working alone – these solo fighters may be able to secure sites en route for possible stops as well as checking the target location for zombies. Scouts should be light, fast and able to move quietly without attracting the attention of the dead. 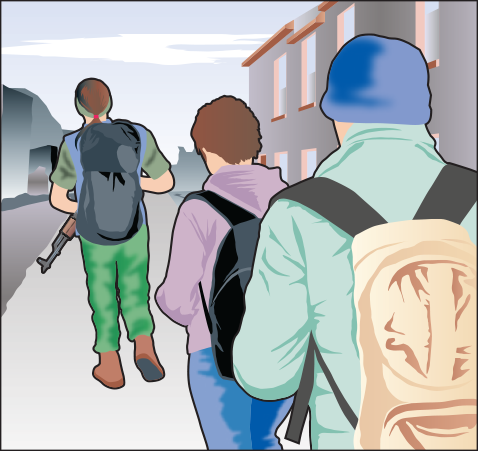 Typically, scouts should be fit and any experience in the armed forces is an advantage. Packing up supplies should be done in order of priority and according to how much you can reasonably carry. Allocate loads to different survivors and remember that your guards will need to be mobile so not everyone will be available for such duties. Never overload people and never slow down your guards. Budget for not more than 25 miles per day if you are on foot but this figure will vary greatly according to the level of fitness within the group. The golden rule is never to overburden the convoy. 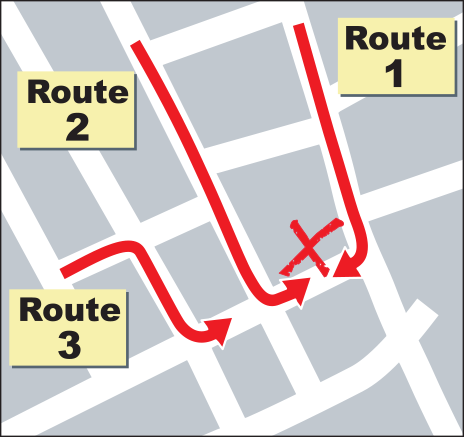 Plan your main route carefully and have back-up routes in case you run into hordes of the dead. This is not a fighting mission – the objective is to reach the target destination with your survivors and supplies intact. Remember to budget to the speed of your slowest-moving vehicle or person. Ensure that you have temporary camping locations earmarked – this could be anything from an intact house to a tall tower where you can all huddle in safety on the roof. Use ‘pathfinders’ to track ahead of the main group. They will act as close scouts and check that routes are clear for slower vehicles. They will also monitor for any ambushes. During the actual move, keep guards on the flanks of the convoy. Try to keep a steady pace and do not stop to engage the dead unless you have to. 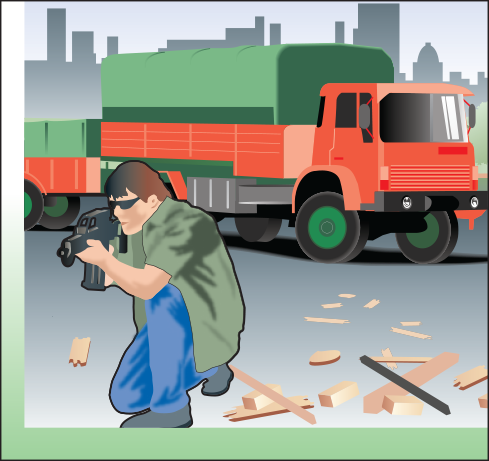 Use a powerful rear guard, which can leave homemade bombs behind to deal with any ‘tail of zombies’ you might pick up. 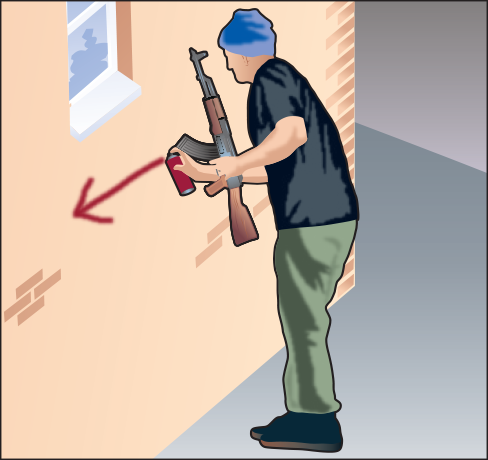 During your convoy move, or any operation outside of your fortified base, it may be useful to use decoy techniques to draw the zombies away from your route of travel. Any noise or human commotion will attract the dead so sound can be a good decoy, but as zombies primarily hunt by scent, this can also be invaluable in sending the horde in the wrong direction by distracting them with bottles of sweat – though, of course, this scent must outweigh the amount being generated by your convoy as it struggles forward! It is most practical to keep the sweat in small grenade-like bottles.